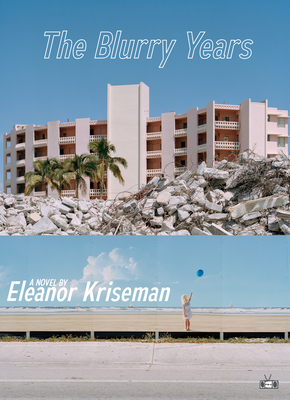 Discussing The Blurry Years by Eleanor Kriseman. Read something off the beaten path! Our Small Press Book Club will meet to discuss a book from an independent publisher. To contact our moderator, email smallpress@brooklinebooksmith.com. Callie - who ages from six to eighteen over the course of the book - leads a scattered childhood, moving from cars to strangers’ houses to the sand-dusted apartments of the tourist towns that litter the Florida coastline.Callie’s is a story about what it’s like to grow up too fast and absorb too much, to watch adults behaving badly; what it’s like to be simultaneously in thrall to and terrified of the mother who is the only family you’ve ever known, who moves you from town to town to leave her own mistakes behind.With precision and poetry, Kriseman’s moving tale of a young girl struggling to find her way in the world is potent, and, ultimately, triumphant.